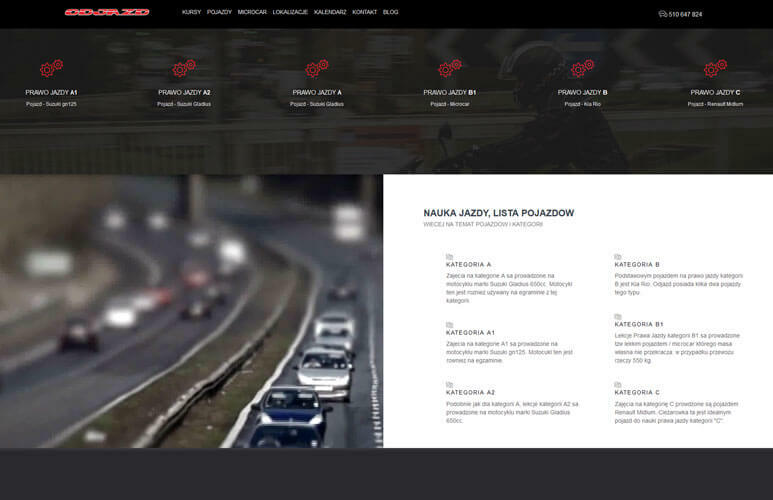 Modern and based on WordPress custom CMS template Odjazd is the website created for a school of motoring. 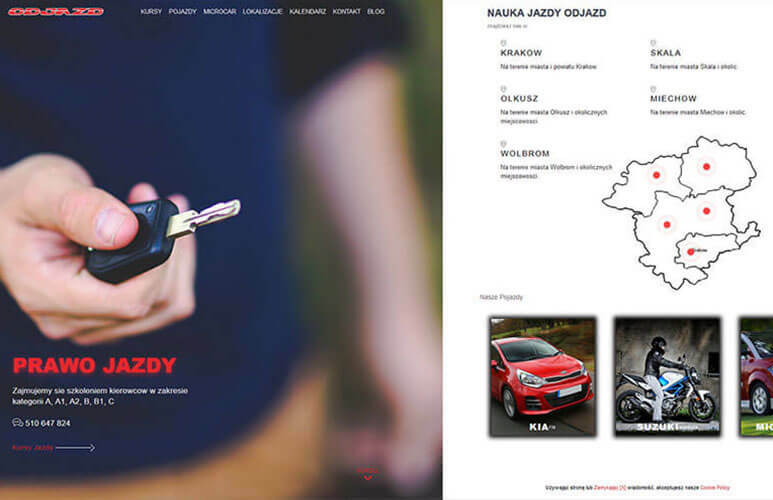 Odjazd is a motoring school offering services in Krakow Poland. Majority of their customers are students and young professionals in age between 16 and 30 years old. In our prebuild projects proposal we have included these stats and all the other analytics to increase user experience and generate more traffic. New Odjazd website has SSL certificate which is standard security addition throughout packages offered by Simplosoft. Few more words about the web security from Simplosoft. All of our CMS websites are build with additional security standards.